This is the neuro-linguistic programming (NLP) practitioner course delivered for use with children and teens, for teachers. I anticipate having a maximum of three teachers during the week and the focus will be on the age-group taught, and the type of school; so the content will be totally actionable immediately. The course modules will be as per the NLP workbook and follow classic NLP training lines but adjusted for the target ages and for teachers. You will have the opportunity to practice and familiarise yourselves with the techniques. I will also cover mindfulness, clean language, EFT tapping, picture tapping and art, music and drama therapy. 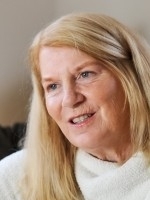 Judy Bartkowiak is an NLP master practitioner, trainer, EFT and matrix reimprinting practitioner. She trains the NLP kids practitioner and runs NLP kids, offering coaching for parents, children, teens and schools. Author of: Be a happier parent with NLP, NLP workbook, self-esteem workbook, secrets of the NLP masters and engaging NLP books.